All New Special Edition Featuring A Bonus CD Of Live Tracks, Recorded The World Over! 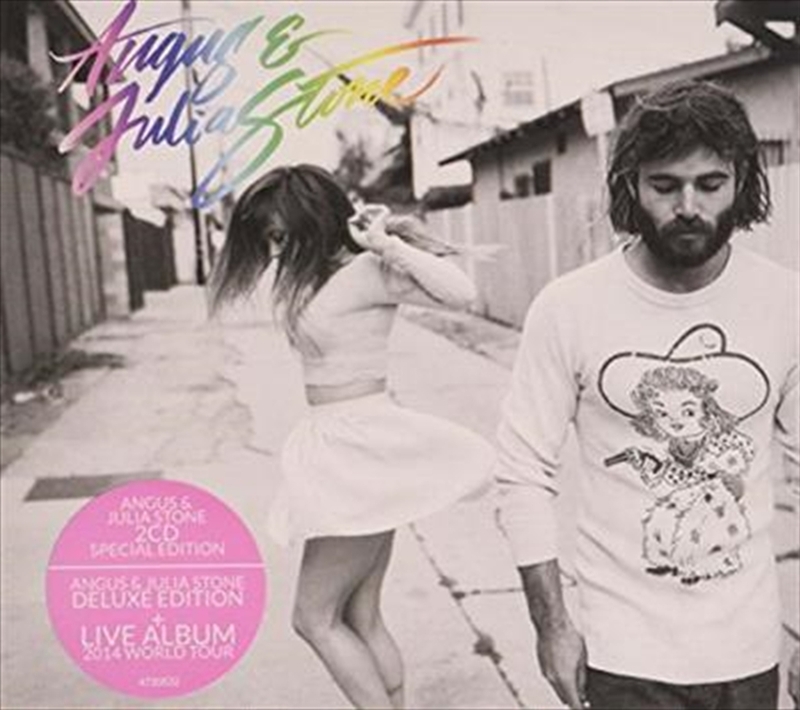 Australian duo Angus & Julia Stone release their self-titled studio album. Produced by legendary producer Rick Rubin, it's a record steeped in feeling and filled with a newfound freedom and confidence that's palpable throughout. The album is pure Angus & Julia, but there's a brand new potency here, a richness you can't ignore. It takes the inherent strengths of the duo and adds news colours – blended harmonies, a new depth and strength to their rhythm section and more experimental guitar textures. Recorded at Rubin's Shangri-La Studios in Malibu through late 2013 Angus & Julia Stone also marks the start of a new relationship with Rubin's American Recordings label in territories outside of Australia/New Zealand.